Welcome to the 2019 Chi-Town Pitties, Inc. Spring On-Line Auction. The auction begins Sunday May 5 and will run until Sunday May 12 at 7:00 p.m. CST. Please make sure to place your bid in the comments section of the picture; bids need to be accompanied with a current email. ***Each item has a starting bid. Please do not bid below the starting bid. If you do, your bid will be removed. ***Jump bids for items over $10 are $5.00 minimum, so if someone bids $20.00; the next bid will be $25.00 and so on. We will try to monitor this to ensure jump bids are correct. ***The person with the highest bid per item by the close of this auction will be declared the winner! ***Payments will need to be via Paypal or Zelle QuickPay. ***Shipping costs are estimated; therefore, we would be happy to refund a portion of the shipping if the estimate is $2 or more above what the actual shipping price is. 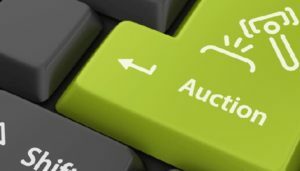 In addition, if a bidder wins multiple auctions, we’d be happy to combine the shipment and reduce your shipping costs at the end of the auction. Any shipments to Canada will require extra shipping costs. ***We can also arrange local pickup for most items if requested. All profits will be given to Chi-Town Pitties, Inc.
***Shipping, or pick up, will begin once payments have been received and we will do our very best to get your items to you in a timely manner. Lastly, thank you again for doing some of your spring shopping with us. Each and every penny made will go directly to the adoptable dogs in Chi-Town Pitties, Inc.
A big shout out to the donors for their amazing donations and you for joining in the fun to bid on some amazing items. Enjoy!